This book provides practical guidance for statisticians, clinicians, and researchers involved in clinical trials in the biopharmaceutical industry, medical and public health organisations. Academics and students needing an introduction to handling missing data will also find this book invaluable. 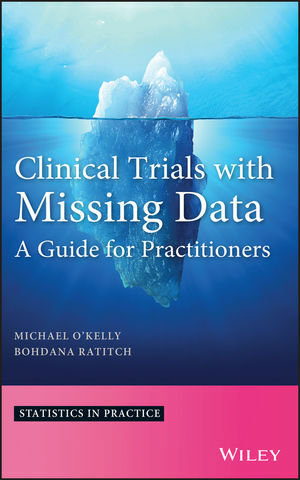 The authors describe how missing data can affect the outcome and credibility of a clinical trial, show by examples how a clinical team can work to prevent missing data, and present the reader with approaches to address missing data effectively. The book is illustrated throughout with realistic case studies and worked examples, and presents clear and concise guidelines to enable good planning for missing data. The authors show how to handle missing data in a way that is transparent and easy to understand for clinicians, regulators and patients. New developments are presented to improve the choice and implementation of primary and sensitivity analyses for missing data. Many SAS code examples are included – the reader is given a toolbox for implementing analyses under a variety of assumptions. MICHAEL O’KELLY, Senior Strategic Biostatistics Director, Quintiles Ireland Ltd, Ireland. BOHDANA RATITCH, Senior Biostatistician, Quintiles, Montreal, Canada.